After a very long 19-hour trip on two boats we finally reached the Condozi Indian village of Progreso where we held our first 3-day training on how to study the Bible and how to evangelize. The course went very well and I was so pleased to see such eagerness to learn the material and participate in the group activities. This method of Bible study and evangelism is something that everyone can and must do especially in their situation since Progreso is only one of two churches on this river of 11 villages. During our time together Maria shared her testimony and I showed a Christian film depicting the life of Christ and as a result 16 people rededicated their lives to Christ! This is very exciting because these village churches of Progreso and Huancayo are still in the developing stages and are new to doing evangelism and discipleship. I am praying for a full-blown revival in both of these villages that will ignite the members with an insatiable desire to evangelize and disciple their unsaved neighboring villages. Our commitment to them is to go back and have 2 and 3-day trainings on a monthly basis until they are equipped enough to minister on their own. It is a wide open door to help these two village churches grow in their understanding of the Word and in their relationship with the Lord. It is also a wide open door for the Gospel to go forth to the other non-churched villages and so we will take every opportunity available to do both of these. Please pray with us that the two churches will learn quickly and that the Lord will pour out His Spirit on them in a powerful way. March 3-8: Shishinahua River to teach the next Bible institute course to the church leaders of the new church in San Francisco and do an evangelistic outreach to two non-Christian villages. March 15–22: Nucuray River to do the next 3-day training in Progreso and Huancayo and do an evangelistic outreach to the non-Christian villages on the river. 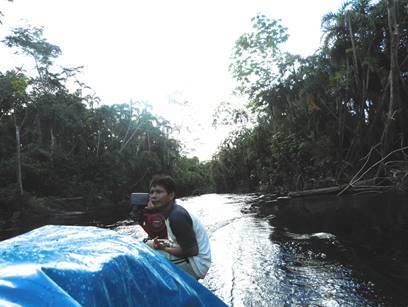 March 30–April 5: Shishinahua River to do an Easter evangelistic outreach to the non-Christian villages and teach the next course in the Bible institute. Please pray for our safety as we travel. Boating accidents are not uncommon on these waters and so protection as we travel is essential. Please pray that the people will understand the material being taught and will be able to apply it to their lives through the power of the Holy Spirit working in them. The goal is a glorious transformation in each person and in the community as a whole. 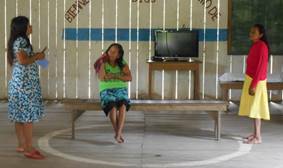 Please agree with me in prayer for a full revival in these two village churches on the Nucuray River so that the Lord can use them to draw the rest of the villages on the river to Him. Thank you so very much for standing with us in prayer for these points and may the Lord bless you in all that you are doing for Him.